The challenge was simple in thought, but complex by solution: enable customers to create custom pieces of furniture and buy them online. For this, Grain needed a new platform allowing for an interactive customer experience. 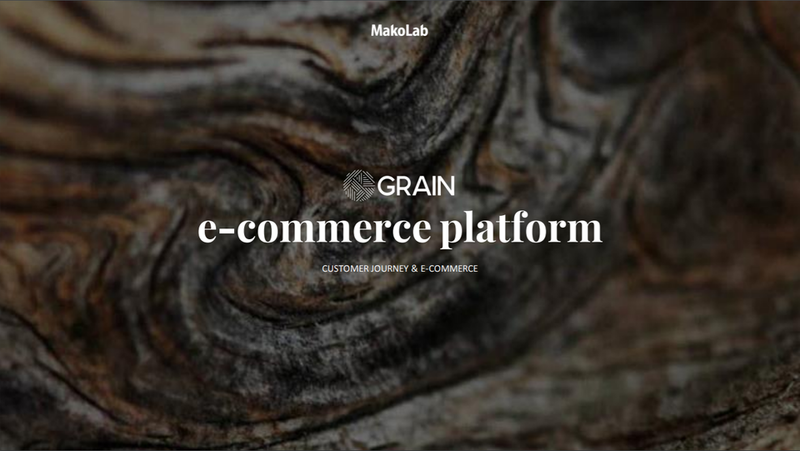 Based on Magento, this new e-commerce platform and product configurator for Grain has been created by MakoLab – Digital Solutions Agency from Poland, boasting offices all around the world including London, Paris and Gainesville. Grain is an innovative start-up and has designed their business on a simple but powerful idea – a customer designs their piece of furniture online, and within a matter of weeks it is made by hand in a UK workshop and delivered to the customers door. Grain’s new responsive website showcases the product range and enables configuration of their entire catalogue using an innovative 3D configurator, linked directly to the Magento ecommerce system. When creating their perfect piece of furniture online, the customer can choose the type of wood, type of steel and customise the table length and width among others. As a result you receive a bespoke, self – designed piece of furniture delivered to your door. As a small company just starting up, it can be difficult to find the right provider, but we had a brilliant initial engagement with MakoLab. The development workshop we undertook together dovetailed our customer journey into the concept of our business nicely, and the resulting website that’s been created reflects our brand well, and will grow with us as we progress. Beyond that, we ultimately chose MakoLab because of the wealth of experience and expertise they had with 3D modelling - something that is central to our way of selling. For MakoLab, focusing on the UK market has been key for the business, and working with a start-up like Grain has been an important part of this journey. It is digital transformation in it’s rawest form, and we look forward to supporting Grain now and well in to the future on this incredible journey they are on. MakoLab has just completed another successful implementation for Renault Middle East. This time, the company completed the full implementation of a new website in Iran using MakoLab original solutions. A new website from the leading ceramics and stoneware manufacturer - Ceramika Paradyż has been published. The technology and marketing agency MakoLab has been responsible for its implementation and further activities related to Search Engine Optimisation.